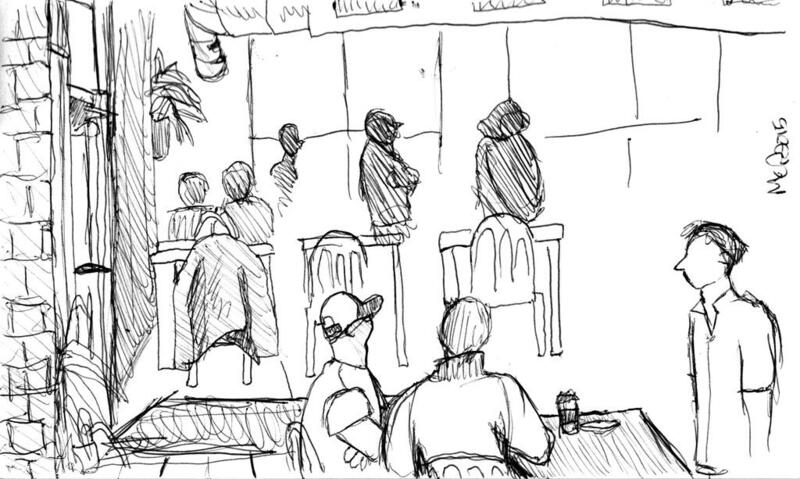 Here’s a sketch I made of the interior of a cafe a while back. This is OCF Cafe in Fairmount (Philadelphia). I did it in purple ballpoint pen, but this scan is black and white. It was a challenge to draw the people because they kept moving, or getting up and leaving. Overall the perspective is off, but I still like the atmosphere of the drawing.